Press into an 8x8 inch pan that you have lined with parchment paper. Bake the crust for 22-25 minutes. Combine the 1 1/2 cups sugar, 1/4 cup flour, 4 eggs, lemon juice and zest in a large bowl and whisk well. Let sit at least 15 minutes while the crust is baking. Whisk again just before pouring it onto the crust in case any sugar settled at the bottom. Put the pan back in the oven for 20-22 minutes. You don't want the tops to brown, just to set. 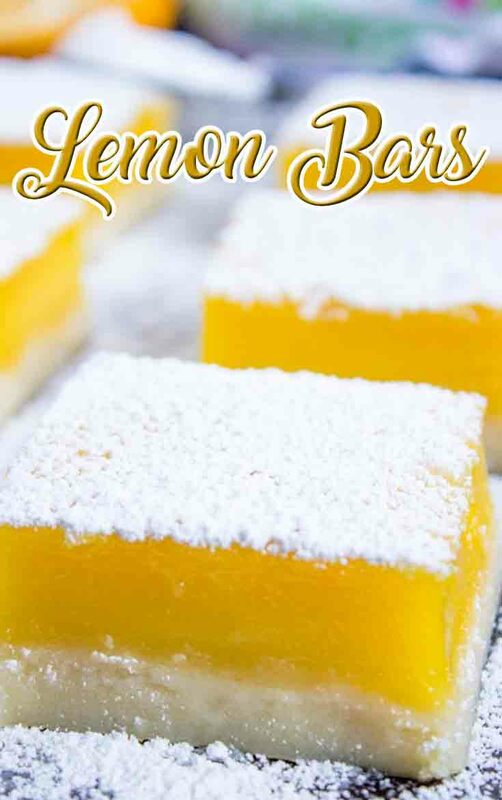 The beauty of lemon bars is the beautiful, vibrant yellow color of them.